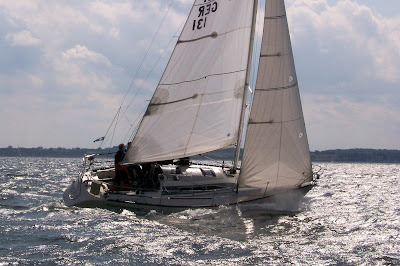 For the 38 strong fleet assembled in Cowes for the 2011 Half Ton Classic Cup, supported by South Boats, today’s opening three races were confirmation that the Half Ton Class continues to go from strength to strength. Throughout each of the day’s three races the fleet was tightly packed with plenty of close quarters drama keeping both the sailors and the spectators on the edge of their seats. The entry list represents a true cross section of the original Half Ton fleet with the oldest boat being the 1977 Davidson designed Waverider, owned by A Delvaus of Belgium, a double winner of the Half Ton Cup in 1978 and 1979 when skippered by Laurie Davidson himself. 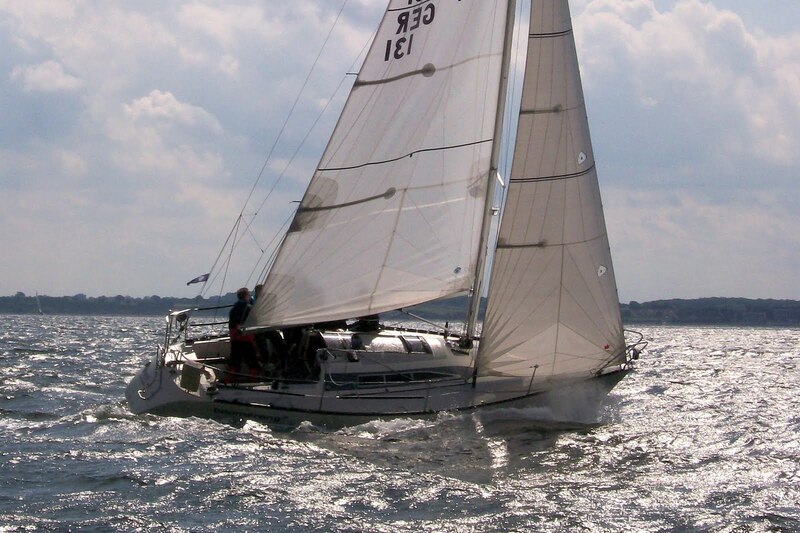 The newest boat in the fleet is the 1992 Caccerelli designed Per Elisa, owned by Britain’s Robbie Tregear, which was the last of the grand prix Half Tonners ever built, launching in 1992. In the overall standings General Tapioca now leads the fleet by two points from Chimp who counts 8 points, with Sibelius third on 14 points, Chia fourth on 22 points and Insatiable fifth on 24 points. The event also features a special division for Production Boats, which this year features two Hustler SJ30s, two MG HS 30s, a Golden Shamrock, an Albin Ballad, an X95 and a Hustler SJ32. Today’s top performer in the Production Division was Francois Michelin’s Golden Shamrock Chiani, which won the first two races and finished second in race three. Richard Hollis’s X95 Crakajax now lies in second place thanks to a 3, 3, 1 score line with Frederic Denis’ Fletcher Lynd, a Hustler SJ30 two points behind in third.